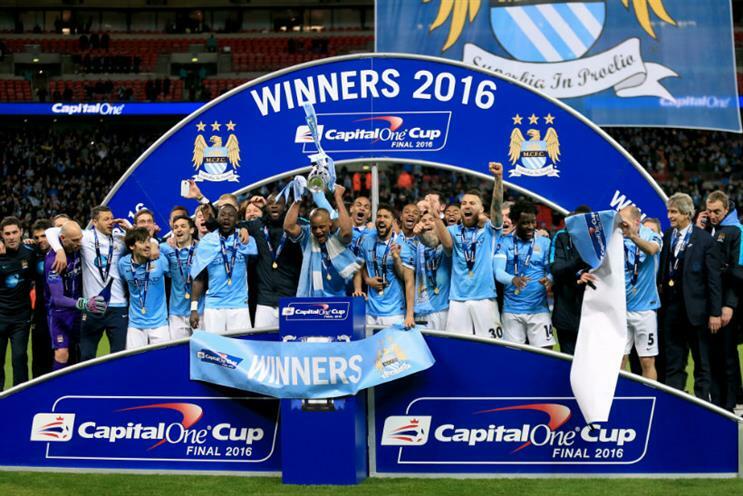 The League Cup has long battled perceptions that it's the FA Cup's poor relation. Now, it faces a fight on a wider front, as digital media continues to step up its claims on brands' marketing budgets. In the past three decades the League Cup has had many guises ranging from its Milk Cup days in the 80s – when the Milk Marketing Board was its first sponsor – to the Carling Cup years of the noughties. Capital One’s sponsorship of the cup expires this season and the Football League has yet to sign up a new sponsor for its cup competition. Football League commercial director Ben Wright says the biggest challenge in signing up a sponsor is down to "competition for the sponsorship dollar" being fiercer than ever. He dismisses the notion that brands could be holding back due to recent controversies over sponsorships of sporting organisations, such as FIFA. Instead, he believes rightsholders are facing an uphill struggle when it comes to landing sponsorships because brands are becoming more rigorous in deciding how to split their marketing budgets. Wright argues that nowadays only footballing competitions such as the Champions League or the World Cup, and teams with a global draw akin to that of Manchester United, have the luxury of choosing between "multiple" offers. "Frankly, the competition that we, as rightsholders, have does not just come in from a rightsholder environment any more," says Wright. "Competition comes from any other number of opportunities where you can spend your money, including this great big beast that has grown up, called digital and social media." So, are brands passing up golden sponsorship opportunities with their obsession for all things digital? It would appear so, if the Football League’s assessment of how much media value the cup provides is to be believed. It estimates the ability to place a brand name on the cup presents £20m-worth of media value a season, based on in-game branding and the amount of 'name checks' the brand would receive in broadcast media and elsewhere. It is understood Capital One’s sponsorship was worth £6m a year. An immediate £20m return on a £6m investment before any activation is not to be scoffed at. The Football League is not standing still in this brave new world dominated by digital marketing. As a result, it is rebranding as the EFL (English Football League) next season, while its cup competition will become known as the EFL Cup rather than the League Cup. Competition comes from any other number of opportunities where you can spend your money, including this great big beast that has grown up, called digital and social media. The three-letter brand name is designed to suit both the smaller screens of mobile devices and social-media’s hashtags, while the emphasis on ‘English’ is intended to give it a greater global appeal; it's argued that the Football League moniker isn't necessarily enough to clearly identify it in overseas markets. "English Football League has a real resonance outside the UK market," says Wright. "And, of course, the shortened version – EFL – is a lot easier for younger fans to understand and, particularly, it fits to more modern methods of communication. It is no surprise that NBA, NFL and similar acronyms are popular." The EFL branding coincides with the Premier League rebranding to the EPL, after sponsor Barclays declined to sign up to a new title-sponsorship deal. However, the Premier League is now opting for a tiered sponsorship approach and will no longer have a title sponsor alone. In contrast the Football League has already agreed another three-year deal with existing title sponsor Sky Bet, and, once it also has a title sponsor for the cup, will not sign up other sponsors on a tiered basis. "The major positive is that it is a wholly named competition," says Wright. "That delivers a standout offer in this day and age when you have competitions that are ‘presented by’ or ‘supported by’ and you are one of four or six sponsors." In addition, Wright argues that, from a competition perspective, the League Cup is in robust health. Although the top clubs are often accused of fielding weakened teams in the cup because they do not value it as much as other competitions, attendances at the games have rarely been better. During this season’s cup, the average attendance per match was the best since 1975 and the aggregate attendance figure was the highest since the 2000/01 season, which had a different format with more rounds with two legs. Meanwhile, the final was watched by a peak audience on Sky of 3.7m and the competition is now broadcast in more than 190 countries. Wright claims the Football League is looking for more than just a financial supporter and is keen to work with a brand, such as Capital One, that will co-operate with it on activation activity, such as the ‘Kids for a quid’ scheme and the ‘Own the Arch’ Twitter competition. The 'Kids for a quid' initiative made children's tickets available to buy for £1 in the first two rounds of the cup, while the ‘Own the Arch’ competition generated half a million tweets. As the end of this season fast approaches, the clock is ticking when it comes to signing up a title sponsor for the new season. So, is Wright feeling the heat? "The money from the sponsor goes back to our clubs to support their participation in the competition and from that perspective there is pressure to deliver to make sure it stays healthy and thrives," he says. The competition is certainly tougher than ever, not from the Premier League and FA, but rather brands’ fascination with digital media. Wright, though, is betting he will find a brand that's up for the cup.